What blogger didn't tell me. Once again, I've been doing a lot of 'thinking' and pondering about the mystery that is blogging. I just don't get it sometimes, how I can like something so much. How reading other peoples blogs and having them read mine is something that inspires me and fulfills me and entertains me endlessly. In the past week, I have received several "Blog Awards" from some of my blogging friends and I am just completely blown away by their graciousness. So, this post is a thank you to them, a contemplation about blogging, and my way of passing on the "blog awards" to a few of my very deserving friends. When I decided to start a blog, there were a few things I expected. I expected it to be a fun, creative outlet for my appreciation for writing. I expected my family and close friends to read it (Hi Mom! Hi Grandma!). I expected it to be a place where I could log memories for myself. And you know what? My blog has met and exceeded all of those expectations. What I didn't expect, though, has actually been the best part of being a member of the 'blogging' community. 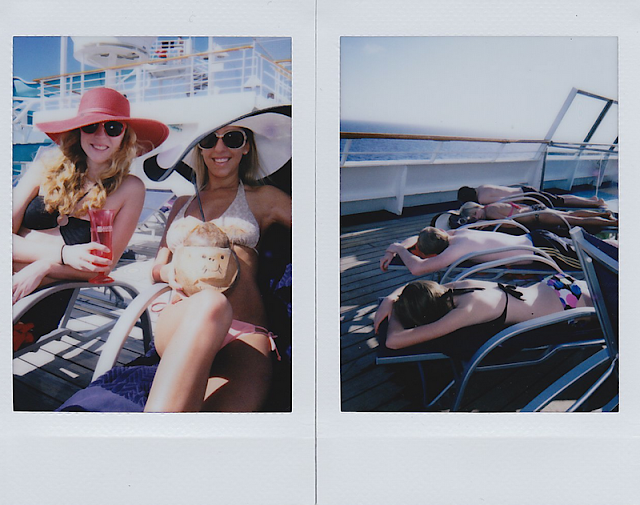 I didn't expect to meet one of my best friends in the entire world through blogging. That on one not-so-special day during the summer of 2009 I would receive my first ever comment from a stranger. Her name was Emily, and I was completely blown away by the fact that someone I didn't know was reading my blog and had found encouragement through my posts about marriage. It was the first time I realized that, hey, maybe I had some insight to share about what being a husband and wife is all about. Em and I grew our friendship slowly, and went from exchanging blog comments to being facebook friends to being text friends to actually hanging out in real life. This summer I was so honored to be a part of her wedding. Blogger didn't tell me that was going to happen. I also didn't expect to have people emailing me and talking to me about how something I wrote - an idea or a hunch that I had about life/family/marriage/friendship - had a positive affect on their life/family/marriage/friendships. I didn't expect people I hadn't talked to in years to email me saying that something I had written had inspired them. Blogger didn't tell me that as I was preparing to move to another country, I was going to find a blog written by a woman named Lenae who was, miraculously, moving to the same exact country I was moving to. (The first post I ever read of hers was the post where she explained where she was moving. Coincidence? I think not.) How could I have known that just by writing in this little space, I would meet a new friend that was going to be living a few minutes away from me, as I live a few thousand miles away from everyone else? A friend that will probably be one of the first to visit me once we have our first baby overseas, will probably throw me a baby shower because my family won't be able to, and who will probably understand and let me cry on her shoulder when seasons of loneliness or hurt come my way and everyone else I love and care about is 7000 miles away. How could I have possibly even fathomed that? I didn't expect to make wonderful new friends. People like Carlie, who sent me a sweet and encouraging email and whom I have struck up a wonderful friendship with and who I am enjoying getting to know even more through her blog. People like Breanne, who understands my desire for going overseas better than many of my close friends and family do. and people like Dani, who keeps me laughing and entertained on slow days at the Inn. 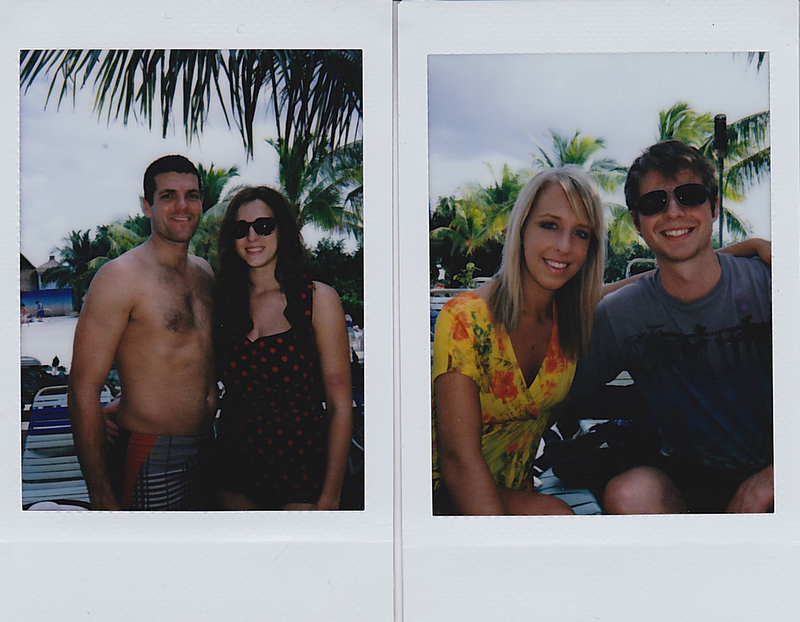 I didn't expect to meet kindred spirits like Jennifer and Mackensie. Ladies that I would genuinely enjoy hanging out with (if only they didn't live so far away!). Two ladies whom I feel like I understand and know and every time I read their blog I think, "Me too, me too, me too!" every other line. Blogger didn't tell me that God was going to use this little online space of mine to encourage and inspire me; to help me to understand that I'm not so crazy in thinking that He is real or that marriage is amazing or that being silly is an appropriate way to life every day of your life. So, if you are someone who is just getting started in the blogging world or you are considering starting a blog of your own, I must say that I think it is one of the best choices you could ever make! Friendship isn't limited to the people in our immediate sphere of influence anymore. Friendship is something that can span states, countries, and quite honestly the world. So, here is the part where I pass on the bloggy/Liebster award to a few of my bloggy friends. The rules are to link to each of the people who gave me the award (Dani, Mackensie, Carlie, and Breanne) and to nominate 5 people of my own who have blogs with less than 200 followers and who I think deserve a little recognition. Emily from "Life is Rich and Full"
Katie from "Bringin' Classy Back"
Rachel from "One Mind, One Heart, A Thousand Directions"
While on our Christmas Cruise, my Mom and sister and I decided to go to Carnival's class on how to make towel animals. Considering my parents own an Inn and I work there, we thought it would be a cute element to add to our rooms! It was such a fun class that we bought the little book that they were selling that instructs you on how to make over 40 different kinds of animals. 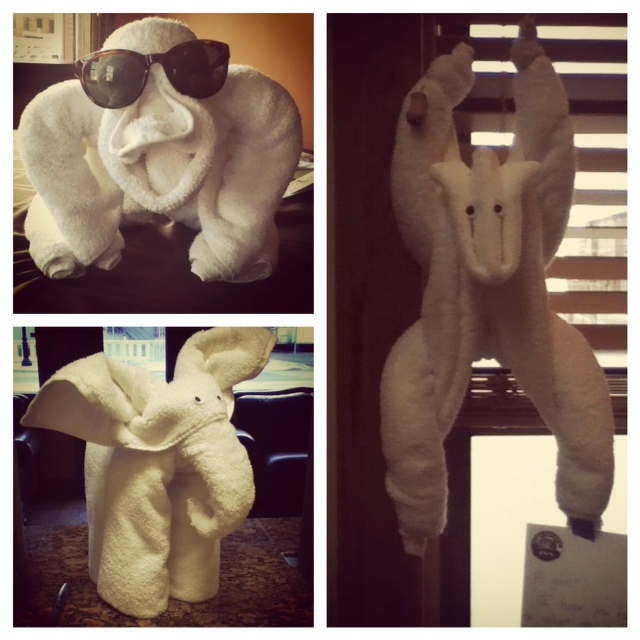 I hadn't given the towel animals a try until recently, when we had a family with three little girls staying at the Inn. On one particularly slow Friday afternoon, I decided to surprise them with a few animal friends when they came home from school. They were first greeted by a monkey with a little note hanging from the blinds, then an elephant, and finally a gorilla! They were just tickled over the silliness of it of it all (and so was I!). After posting the pictures to my facebook, a friend of mine asked me to explain how to make them. So, here are directions and iTouch pictures on how to make the easiest of the three, the elephant! One large towel, one medium towel, and two paper "eyes". Lay the large towel flat. Fold the horizontal edges into the towel approximately 4 inches on both the top and the bottom.﻿ The hot dog way. Not the hamburger way. You understand the middle school reference to folding, right? Roll both sides of the towel until they meet in the middle. Make sure that they are rolled nice and tight and that they are the same size! Carefully pick the towel up and fold it in half with the crease facing the ceiling.﻿ And just like that, you've made the body of an elephant! Pull the material on the top front down a few inches to create the elephant's forehead. Spread out the material that creates the "ears" to make them a little bit bigger and wider, but be careful not to unroll it. Bend the elephant's trunk underneath the head a bit. If you rolled the medium towel/trunk tightly enough, you should be able to bend it so that it stays in whatever position you want it to stay in! Gently set the head on to the body. Be sure to set it so that the trunk is balancing over the fold of the body, not the crease where we rolled the edges together. It might take a couple of seconds to get it to balance properly on the edge. ﻿If you have small children you also might want to figure out an easy way to fasten the head to the body so it's a little more durable. Make a pair of eyes to place on the forehead. (I just trace a penny, cut out circles, and draw pupils onto the circles.) Feel free to improvise with anything you might have around the house, though! Ta da! That wasn't so hard, was it? If you have any questions feel free to leave a comment, and if you try it let me know as well! ...and the second video is Lindsay perfecting it. I'm so glad I have sisters! 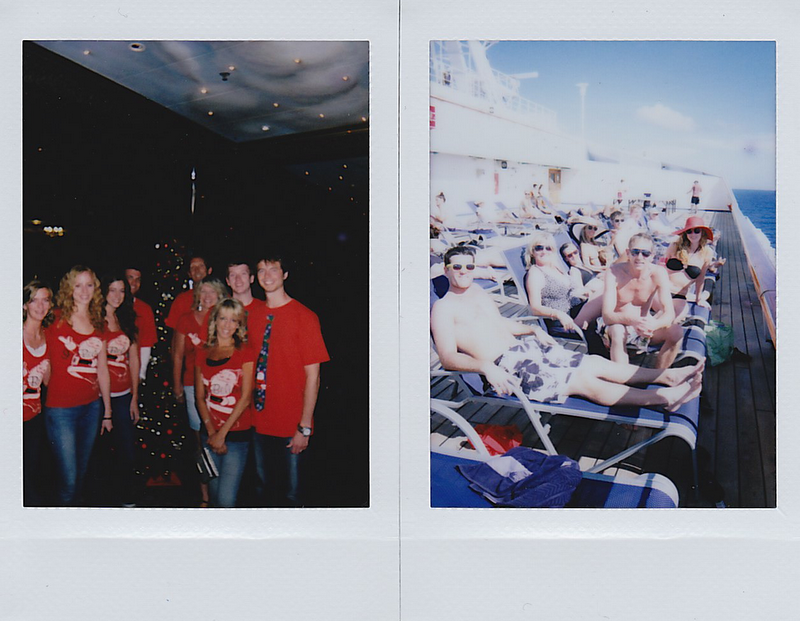 Instax Mini's: Christmas Cruise Edition. It has almost been one full month since my family took our Christmas Cruise together. I think about it all the time. Sometimes when I think about it (like right now) I get a little choked up because it was honestly one of the happiest experiences of my entire life. Just being with my family - without interruptions, cell phones, work, the internet, or any kind of schedule - was one of the most precious gifts I have ever received! Katie and Brad's big sister. and Deb, Ed, and Greg's daughter. A few (rather honest) thoughts. worried about: How I'm supposed to juggle all of the parts of my life right now. Working part time, traveling to Pennsylvania almost every weekend, and still being the kind of wife, sister, daughter, and friend I want to be. creating: Space in my heart. 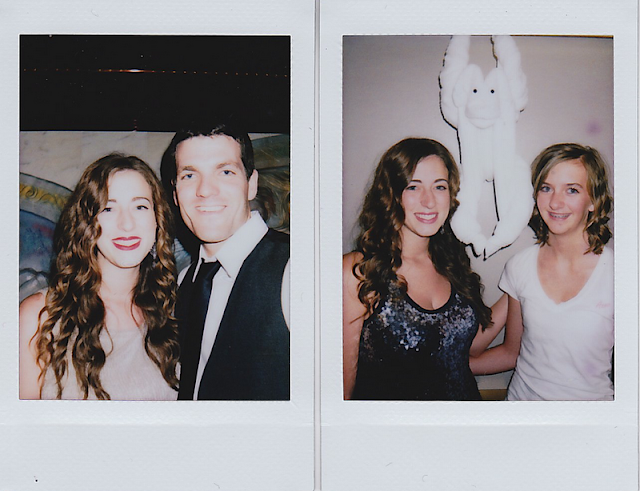 loving: Meeting so many wonderful people. hating: All of the driving we have to do. craving: Seeing a really, really good movie. listening to: Ravi Zacharias and Mumford and Sons. I believe that there is very little power in what you believe unless you know and have really thought through WHY you believe it. I don't think it's fair to make anyone else responsible for your spiritual/emotional/mental growth. I don't think it's up to your church, your husband, your friends, or your family to inspire you to grow. I think it's up to you, and if you aren't feeling inspired or challenged then you better do something to change that yourself. In this journey of moving overseas, I have met a a lot of people (almost 100% of them women) who have flat out told me they could never do what we're doing. As if it's easy for me, or something. Where is your courage, ladies? Where is your willingness to trust the One who has the whole world in His hands? I'm not saying this because I'm better or because I have it all figured out, it's just the lack of willingness to surrender to God I have seen among believers and experienced is disheartening. "You're moving away from your family? I would NEVER do that." "Oh you're leaving your dog? I could NEVER do that." "You're going to be gone for three years? I could NEVER do that." "You're going to live in a country that is primarily made up of Muslims? I could NEVER do that." "You're going to have your first baby overseas? I could NEVER do that." In all of this - every challenge, every single thing I'm "giving up" - I am finding that God is faithful. Living a life where I am constantly reminded that I am weak and my own strength... my "self sufficiency" is not enough is a difficult but truly blessed place to live. For it is in my weakness that Christ's power in my life is made strong. As I learn that my capability to handle life's challenges is entirely insufficient, I am finding that His grace... His strength IS sufficient. Please let me be clear that I am by no means saying that the path I'm taking in life is what everyone is supposed to do. It's not. I know that. I'm just saying that often the "I could never's" are really just "I won'ts". Because that list is full of things I thought I could "never" do, too. But I am willing to take God at His word. To believe that He will never leave me nor forsake me. That He works all things out for the good of those who love Him. That His message of love and redemption and forgiveness is something that PEOPLE NEED TO HEAR. That His dreams for my life are much bigger and better than anything I could possibly plan for myself. And that I can never even come close to "out-giving" the One who has given so much to me. 1. Cook one great meal a week. Ha...ha... NO. 2. Write one letter a week. Yep! Wayyy more than that. Oh gosh I sent so many cards & letters this year! 3. Take a class. Four weeks of training counts, right? Right. This is a yes. 4. Run a 5k in under 30 minutes without feeling like I want to die. I ran a 5k in 31:45. So, no.. but still feel good about myself! 5. Go to a great concert (Coldplay, NKOTB and BSB, Civil Wars again) Yes! Taylor Swift! 6. Play my violin in a recital - Nope. 7. Raise all of our financial support for living overseas. Nope. But we are 70% funded and that's pretty amazing considering we didn't start til April! 8. Go to Hogwarts YES! The most magical day of my life. Literally. 9. Write a guest post on another blog. Yep! Here, here, and here. 10. Go to a blogging conference. Success! I went to Relevant in October. 11. Find a mentor. Uh, yes. I had a mentor for like 3 months. So, kind of yes. 13. Learn as much of the local language of where we are going to live as possible. No. Ironically, we just downloaded a language software as well as flash cards. So, I'm on track. 14. Enjoy more meals with friends and family- in our home and theirs. Yes! This was something we were really intentional about and really enjoyed! 15. Exercise at least twice a week. (That may not seem like much to you, but it would be more than I'm doing now!) -Uh, no. Still working on this one. 16. Practice my violin at least 3 times a week. No. I haven't touched my violin in a couple of months. 17. Read a book on marriage (I'm open to suggestions!) Still in the process of reading the best marriage book I've ever read. 18. Read three classic novels. No. I read one, Jane Eyre. 19. Take vitamins every day ....no. Should've aimed for "Take zero vitamins the entire year". 20. Floss No. This is embarrassing. 21. Have a booth in a craft show with friends. Nope. Discovered that I'm not crafty and that's ok.
22. Play my violin during worship at our church. No. 23. Simplify. Get rid of excess. (Excess clothes... excess books.. excess belongings) YES! Moving out of our house and into a one bedroom apartment really forced us to figure out what we really needed in our life and home. 24. Plant a little garden that has flowers, herbs, and vegetables. Again, No. 25. Be more organized (less forgetful and lose things less) and more graceful (less clumsy). Yes on the more oganized and no on the less clumsy, however I do think that I experienced a lot more grace this year. So, there we have it. I think that's 11 completed out of 25? Ouch. Still trying to decide if I should make a list for the 26th year of my life? I better decide soon! One of my favorite material take-aways from our Christmas Cruise are my new Sperry boat shoes. As I was packing, my Mom very wisely said, "Be sure to pack comfy shoes!". Unfortunately, I didn't listen. Instead I thought to myself nonsensical things like, "Surely we won't be doing that much walking on this short vacation." (False!) And, "Surely we won't explore the entire ship." (Double False!) And the highly problematic, "Surely my $8 shoes from H&M and my brand-new-not-broken-in $15 shoes from PayLess will be sufficient for the miles of walking I'm about to embark on." (FALSE x INFINITY). 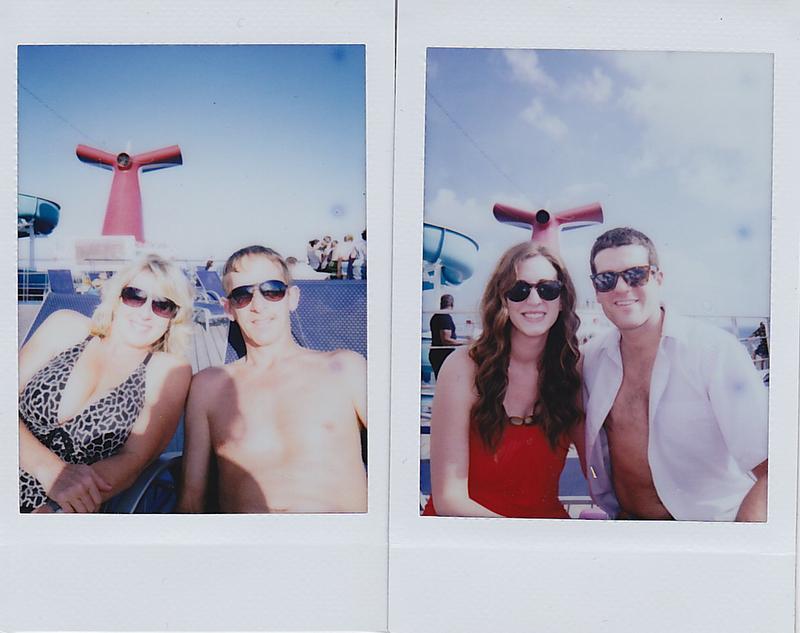 The boat left at 4:00pm on Thursday and my feet were already aching by 7:00 that evening. I had created a huge problem for myself. Despite the fact that I have been taught this lesson over and over and over and over and over again in places like Chicago and Paris (where my feet hurt so badly due to poor footwear choices I was seriously concerned that I had done permanent damage to them), I once again chose "cute" over comfort and common sense. Fortunately, the ships first stop was in Key West on Friday morning where I discovered a little slice of heaven: Boat shoes. I went to a local shop and started trying them on and immediately fell in love with them. I have never had such luxury on my feet! I was so excited that I bought them right away and wore them right out of the store. I wore them walking around the entire ship. I wore them to the beach. I wore them in our room. I wore them with my sparkly dress on Formal Night (After dinner, of course) I wore them.... sleeping? (ok just kidding on that one but you get the idea). I still wear them running errands here in wintery Michigan . They are that amazing! They were a bit of an investment, but definitely one that I am glad I made! Do you have any fashion/functional packing mistakes you make repeatedly or am I the only one who does this? Poor shoe choices is definitely mine, but I am drawing a line in the sand and starting anew!